Leonard Susskind gives the second lecture of a three-quarter sequence of courses that will explore the new revolutions in particle physics. In this lecture he explores quantum field theory. This course is a continuation of the Stanford Continuing Studies course exploring the essential theoretical foundations of modern physics. It introduces students to the basic concepts of particle physics. The next course in this series focuses on the Standard Model. 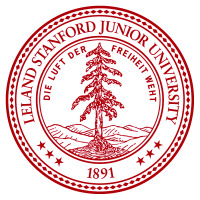 Leonard Susskind, Felix Bloch Professor of Physics, received a PhD from Cornell University and has taught at Stanford since 1979. He has won both the Pregel Award from the New York Academy of Science and the J.J. Sakurai Prize in theoretical particle physics. He is also a member of the National Academy of Sciences.